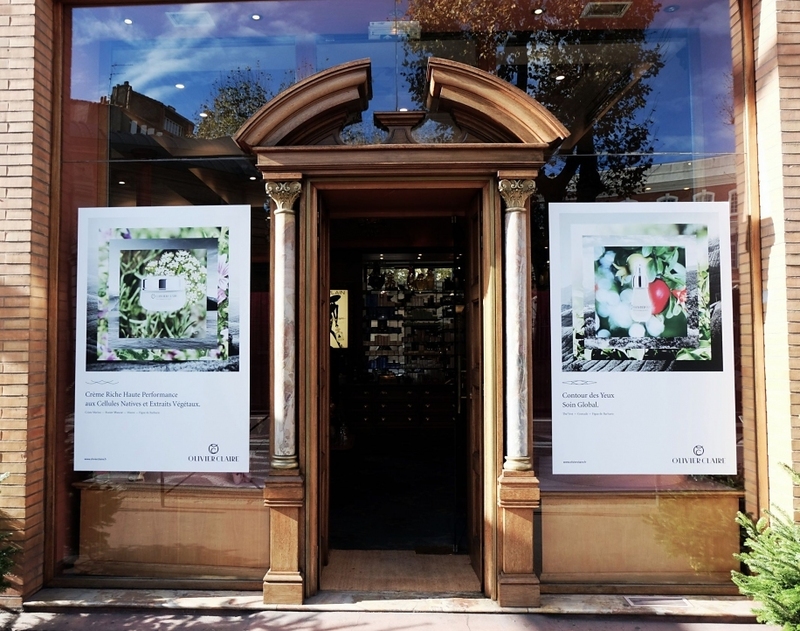 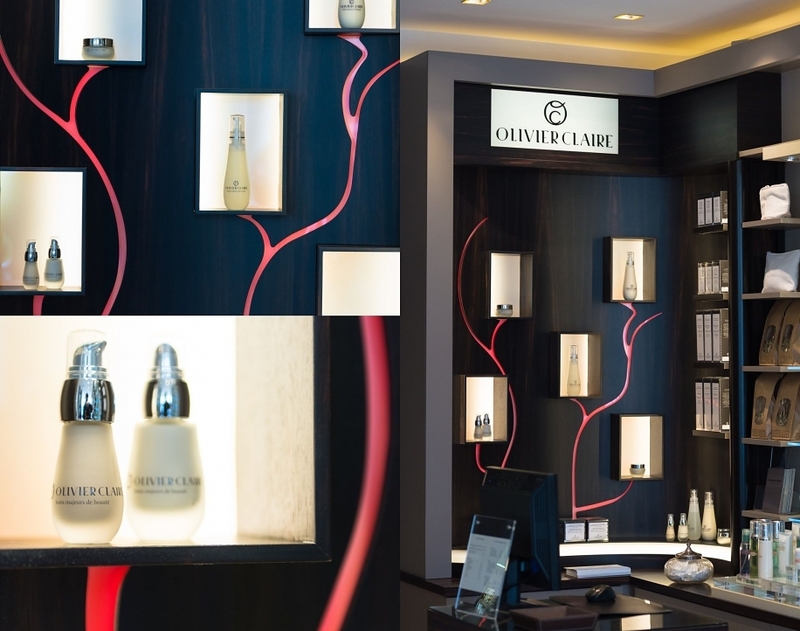 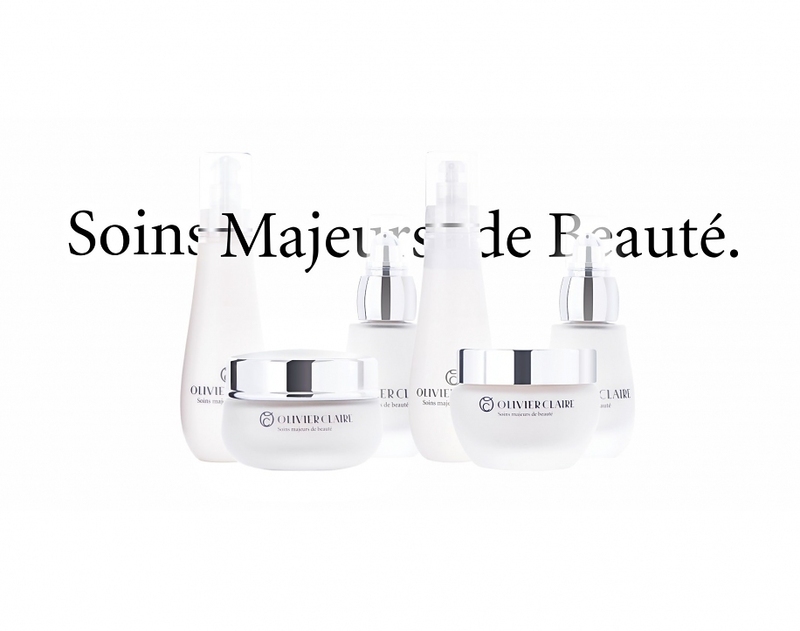 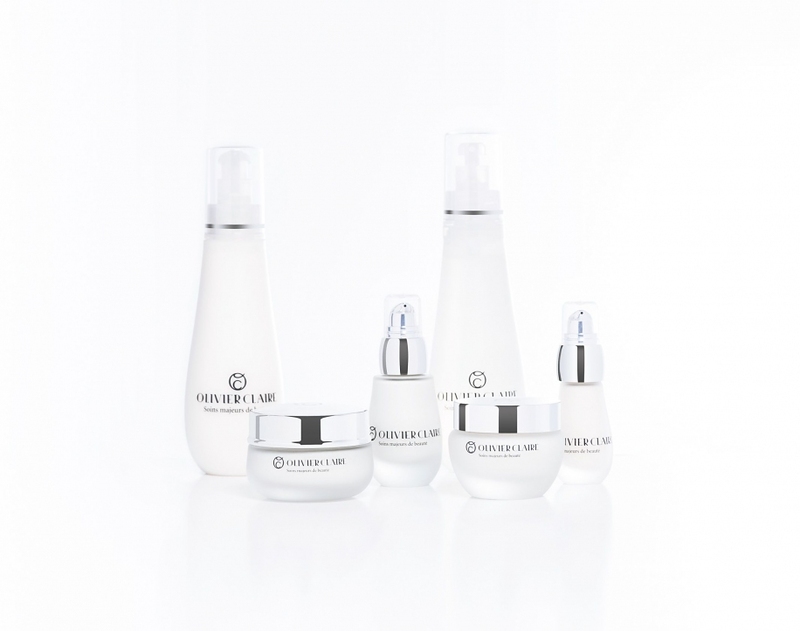 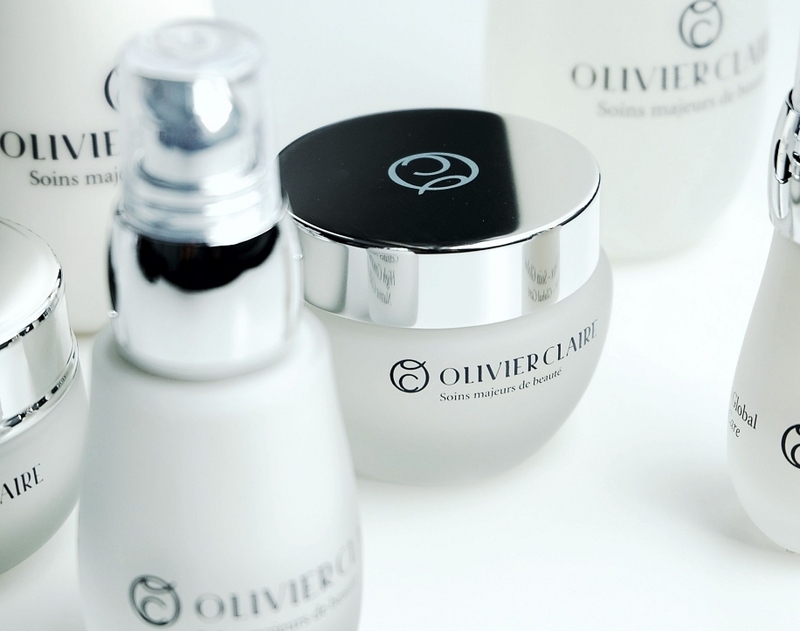 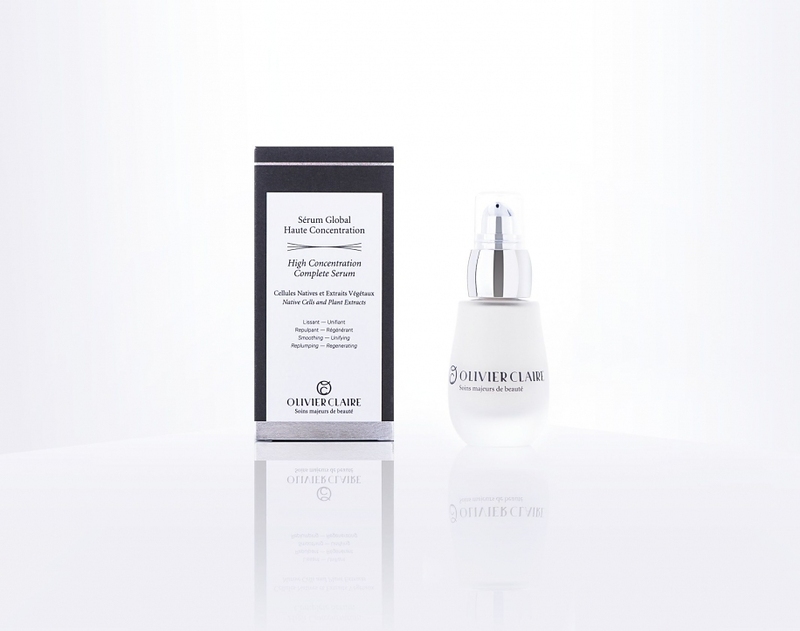 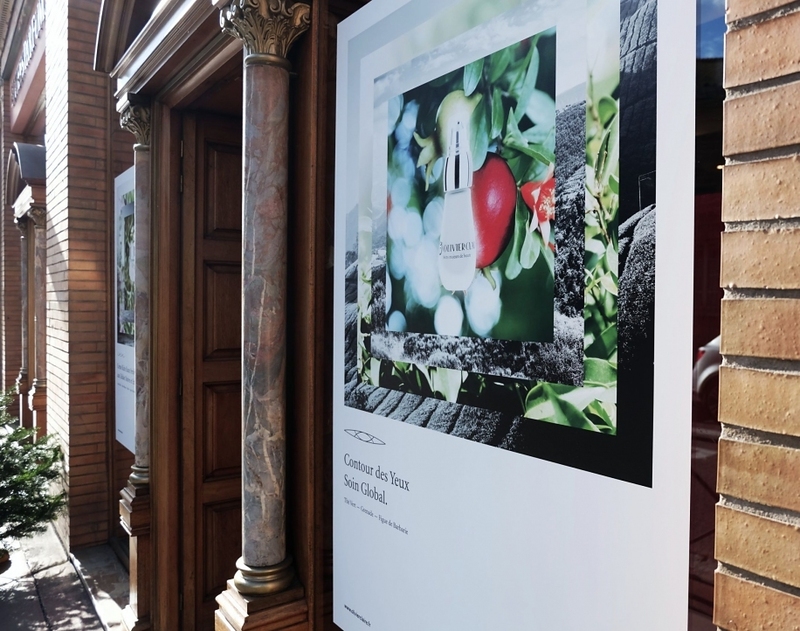 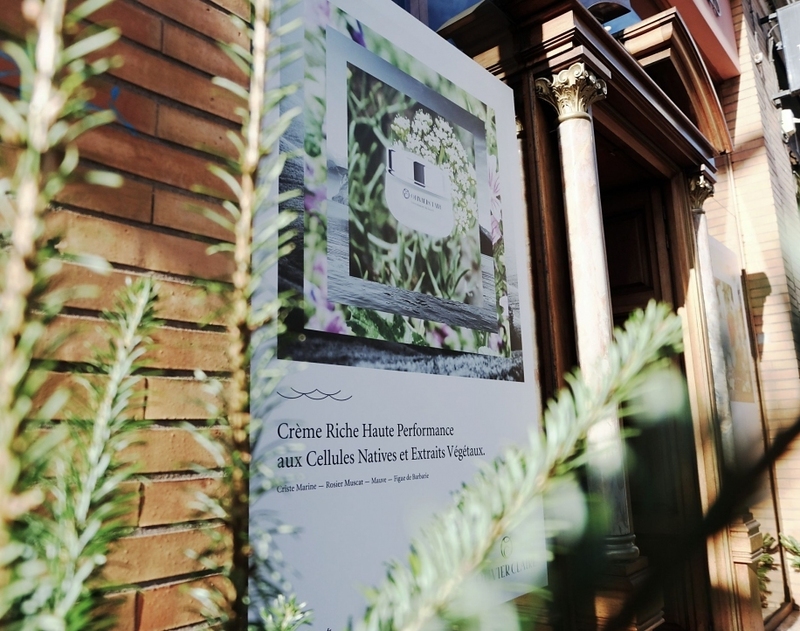 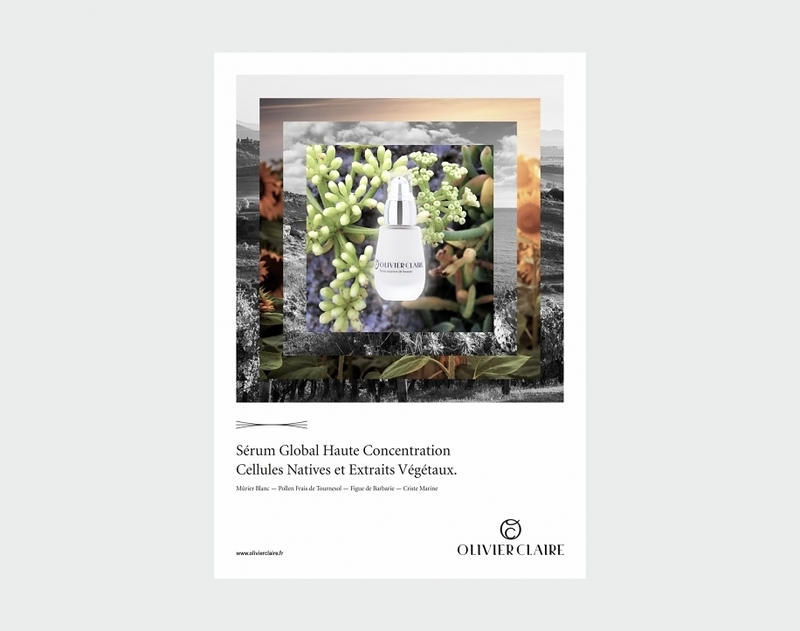 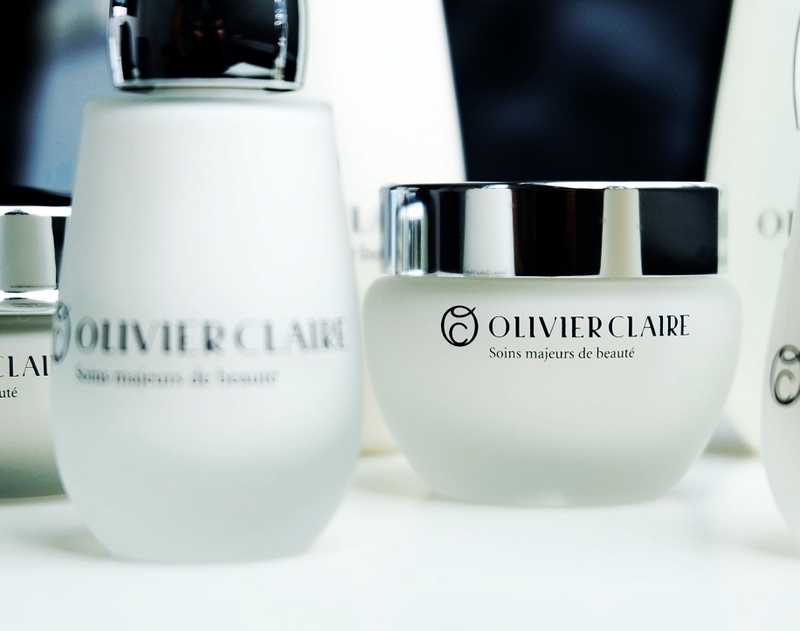 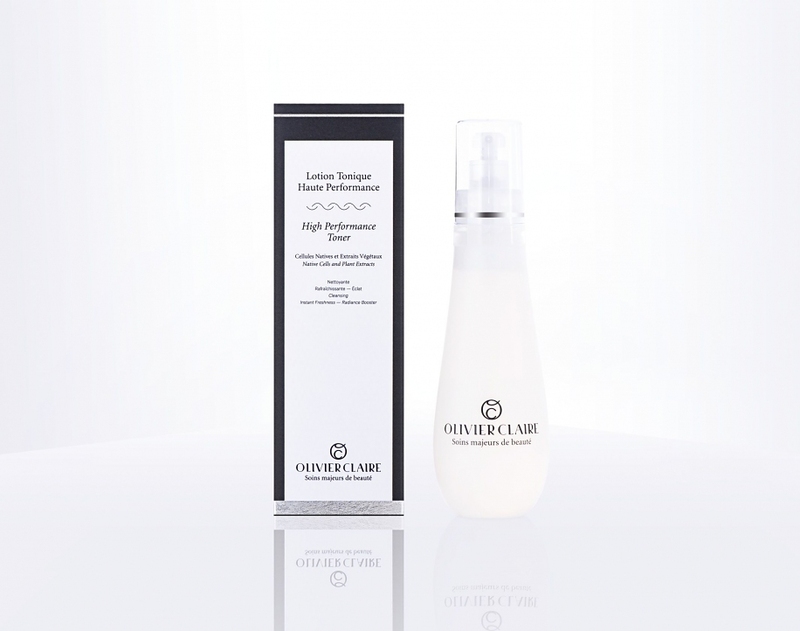 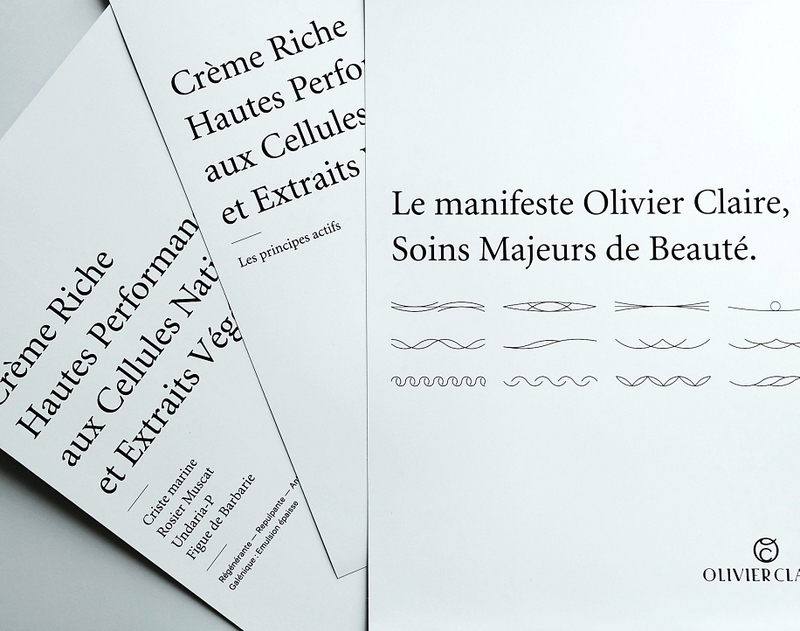 Brand Brothers has achieved the full branding of Olivier Claire, a high end vegetal skincare brand. 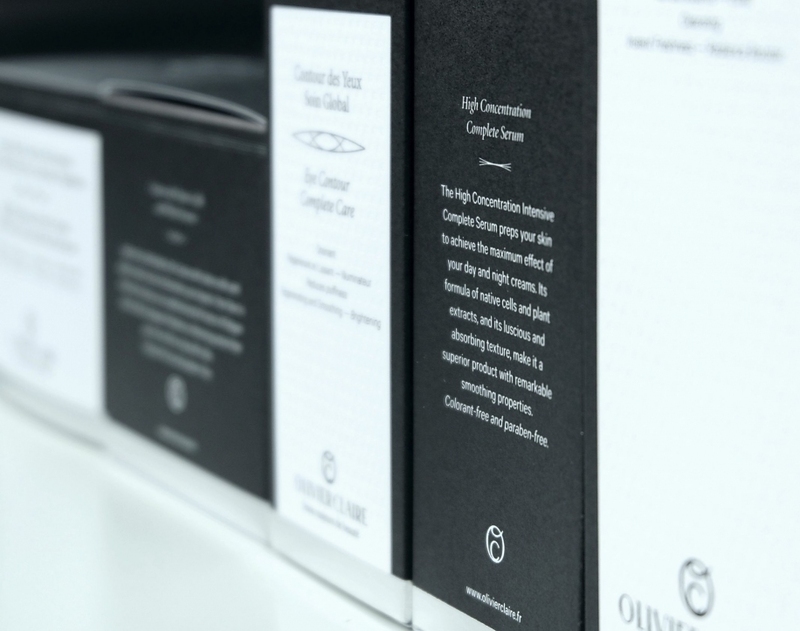 During a complete year, a work of craftsmanship has been done, and a quality human relationship with the founder has been tied around this project. 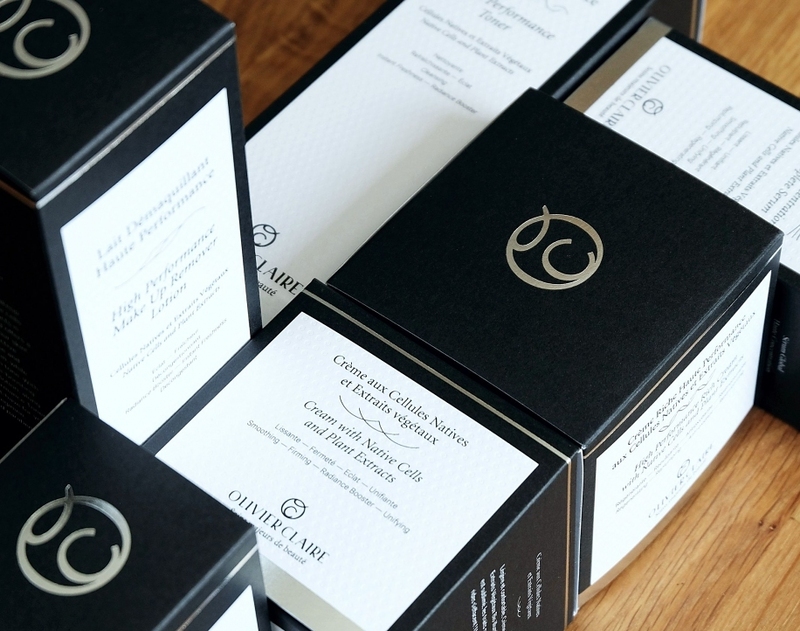 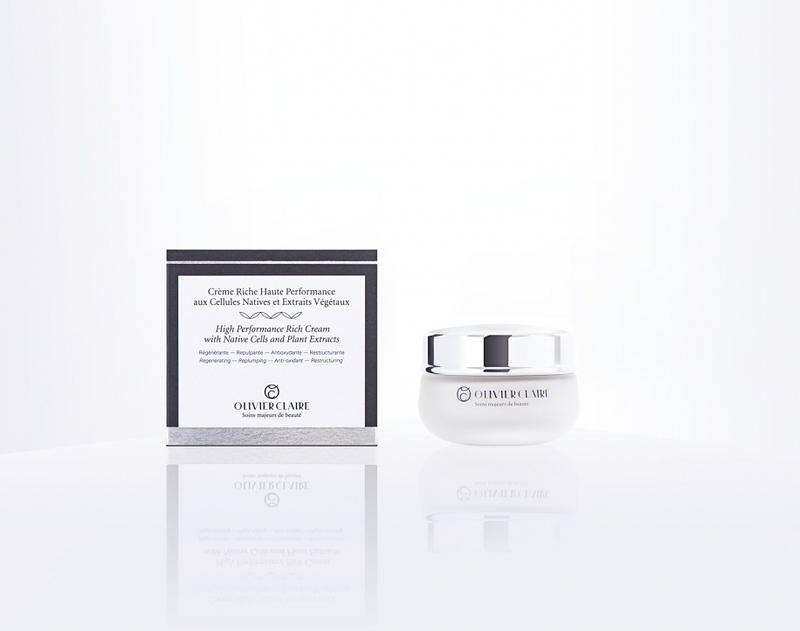 After a mono-product launch in 2008 by a passionate entrepreneur, a true lover of the beauty of women looking for the perfect product, the brand demanded an overhaul of codes, as the range of products had to be relaunched. 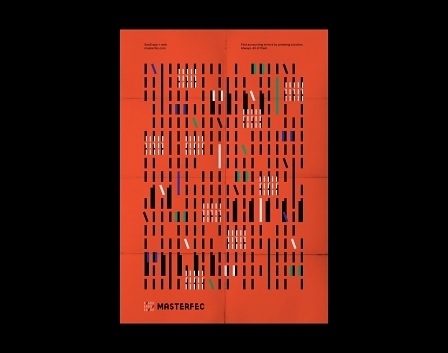 It was a task of extreme pointillism, with serious issues for the brand. 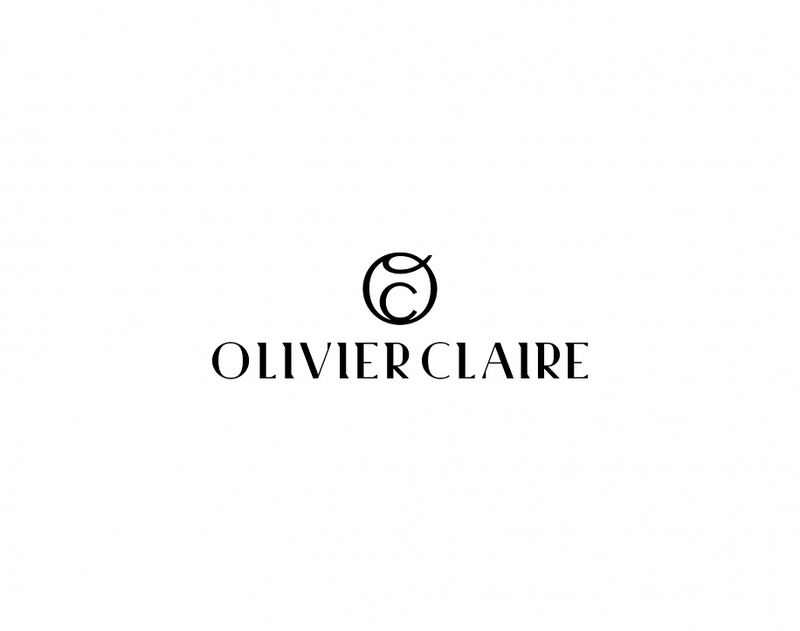 We first tried to capture the spirit of Olivier Claire and what drives its founder, who embodies its products and their benefits more than anyone else. 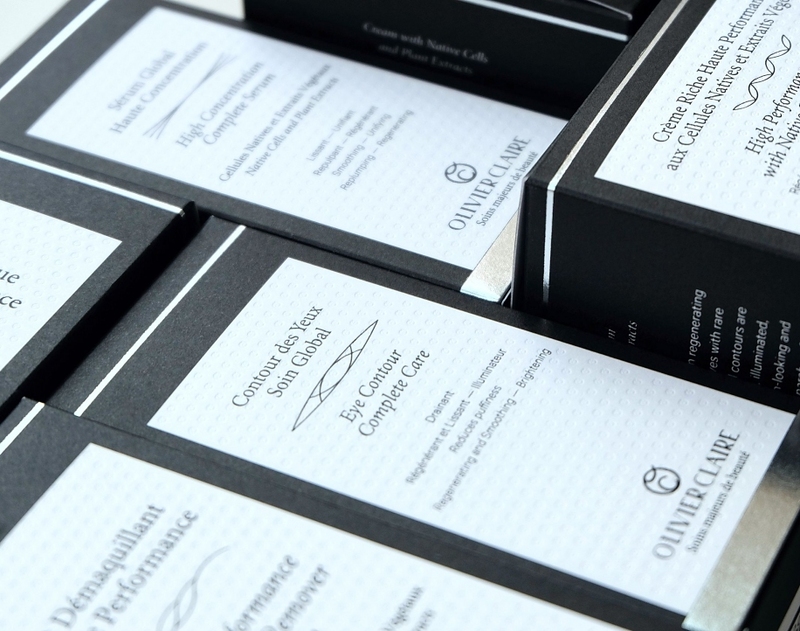 A certain conception of luxury and wellness around a simple language, around honesty and quest of excellence. 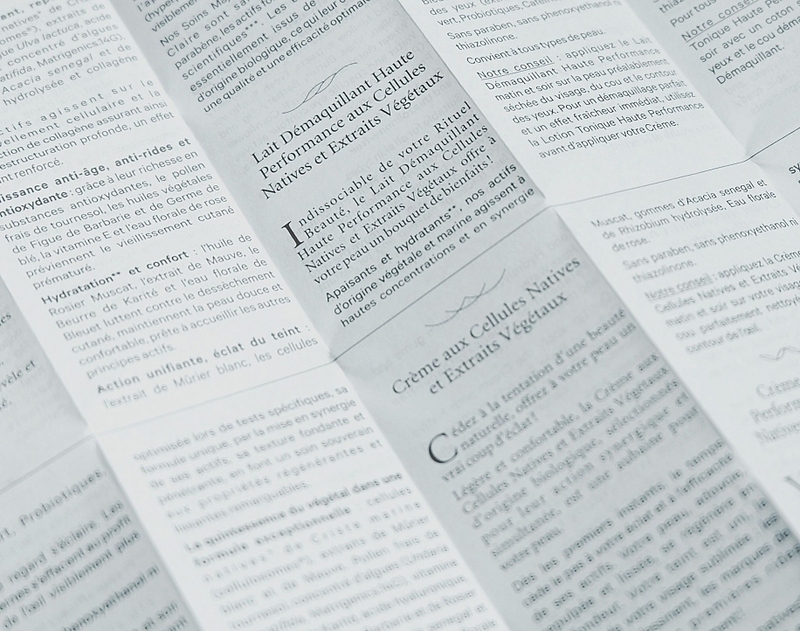 Our creative response is based on a few simple principles. 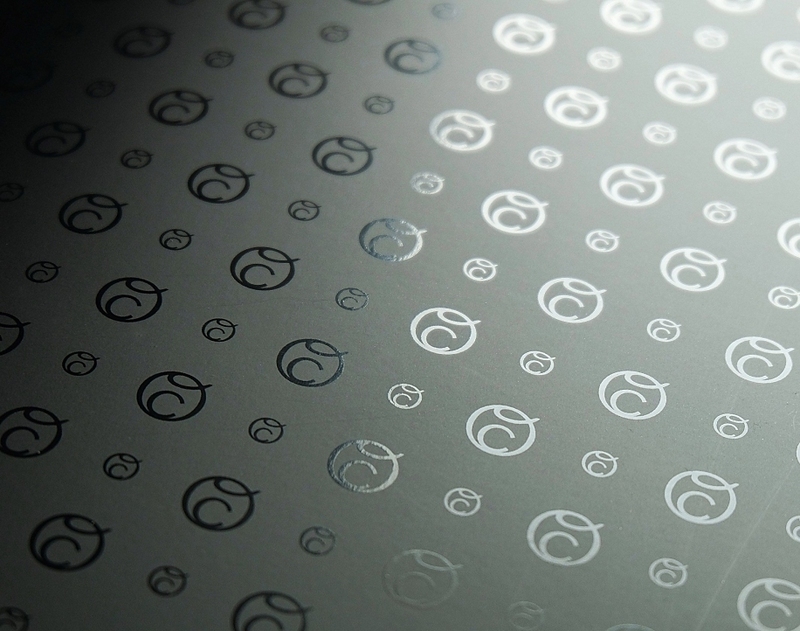 The intrinsic quality of the product must prevail, and branding must support this evidence. 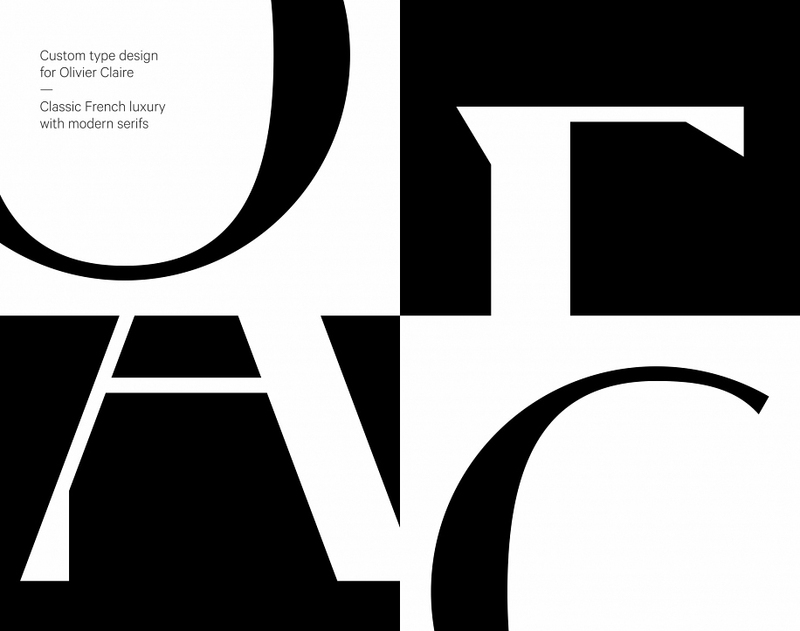 Then, the luxury should not be overplayed, it has to impose itself. 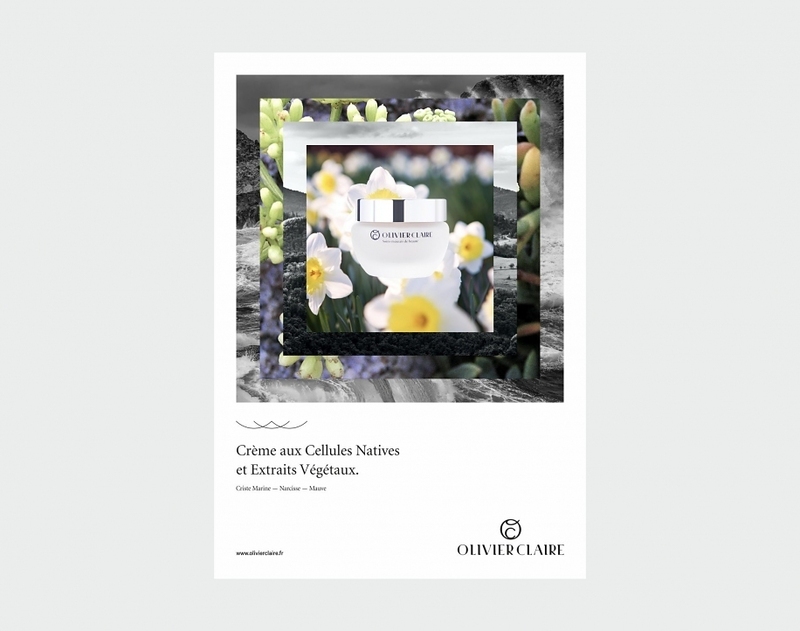 Finally, vegetal and science, at the heart of the development of the products must be expressed in the brand codes in a new way compared to the competitors. 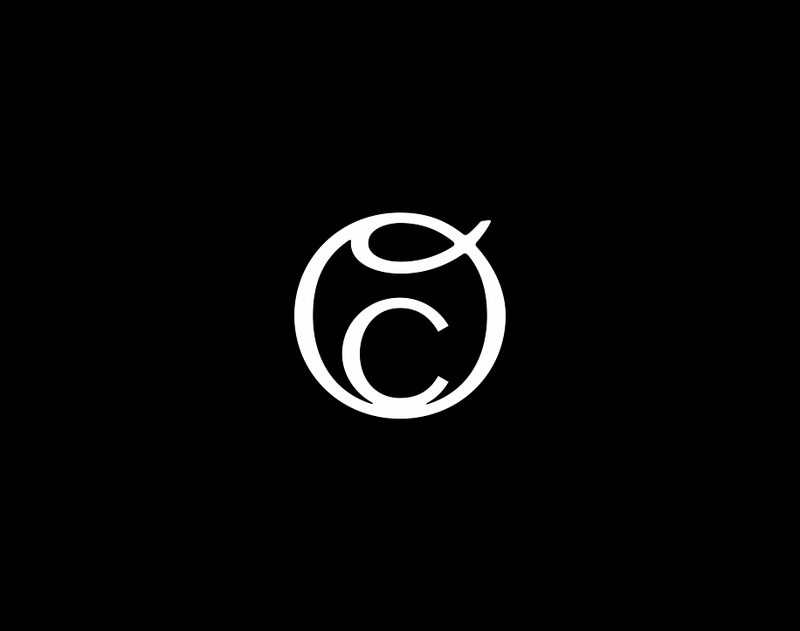 The new logo, between French refinement and unexpected modernity consists of a custom typography for the brand and a monogram “OC”, evoking the care, balance and smoothness. 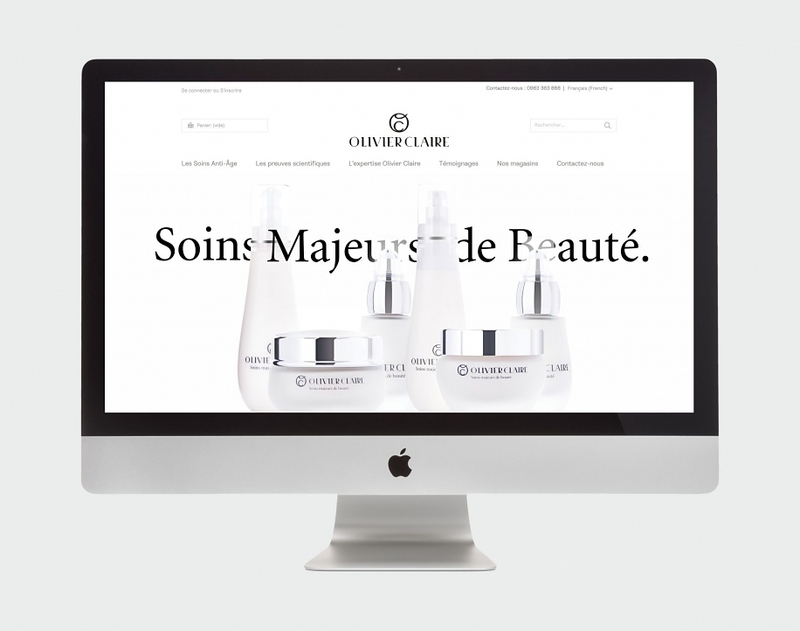 Subsequently, we developed the identity codes with this constant search for balance between visual glitz and graphic innovation. 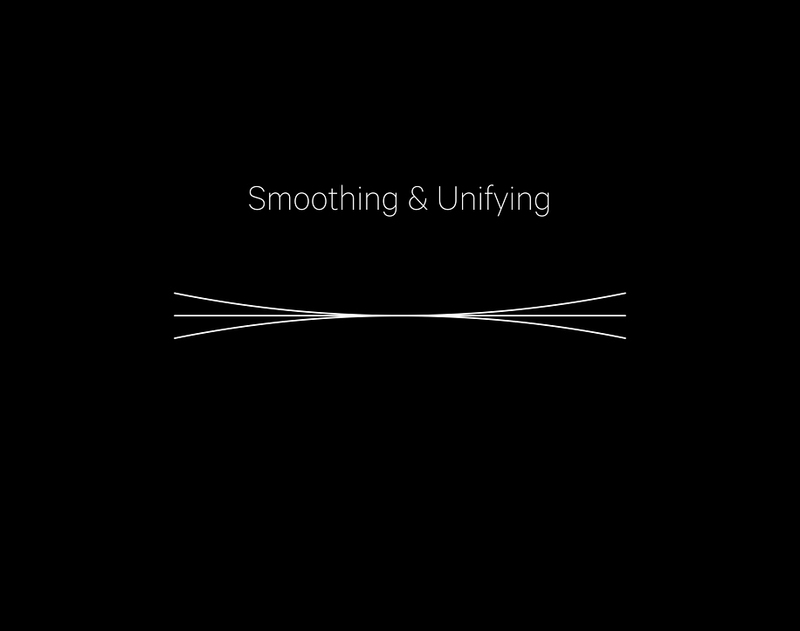 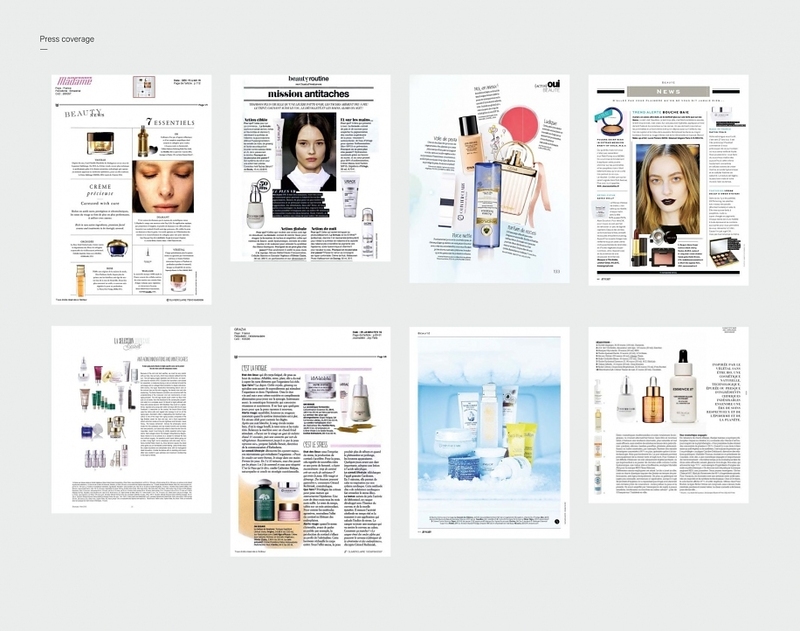 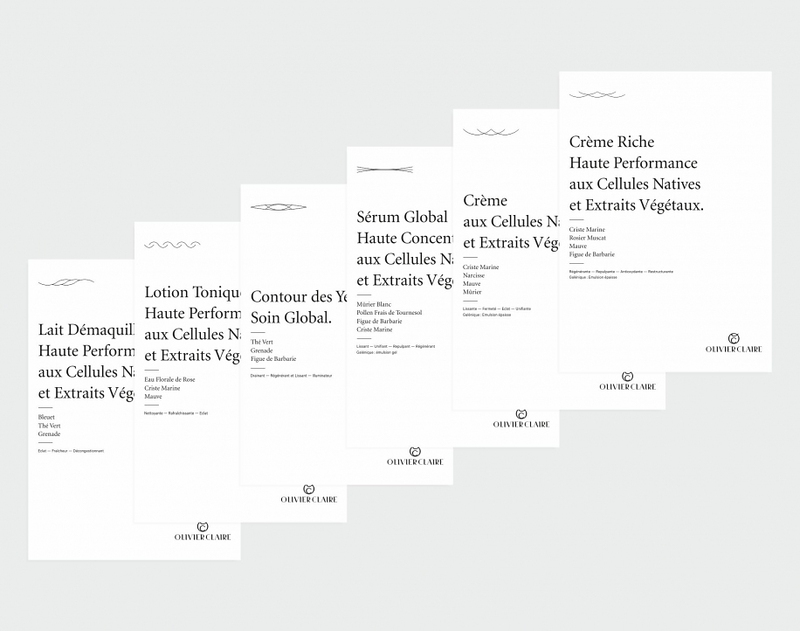 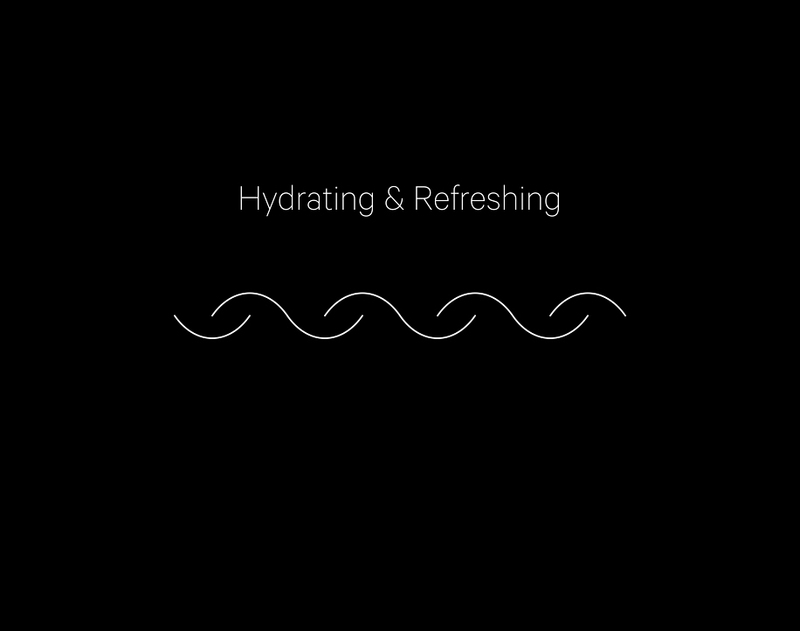 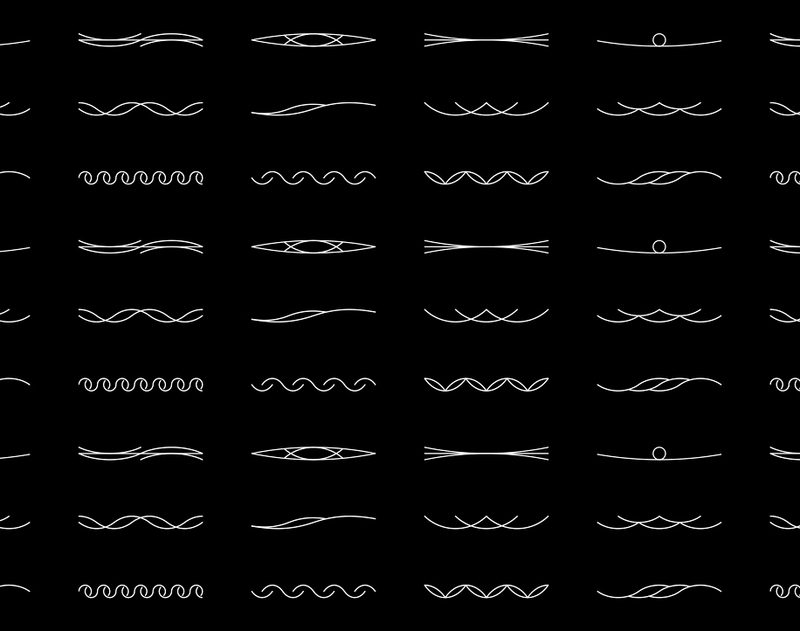 The main one is the creation of a “skincare alphabet”: a collection of graphic signs that evoke the characteristic for each benefits of the lotions; thus, each sign is linked to a specific product, which sees its identification potential reinforced. 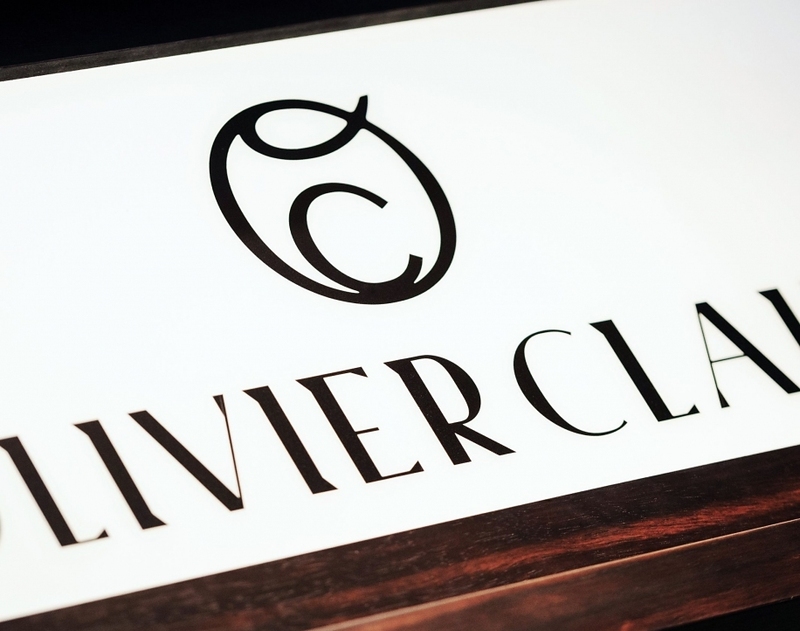 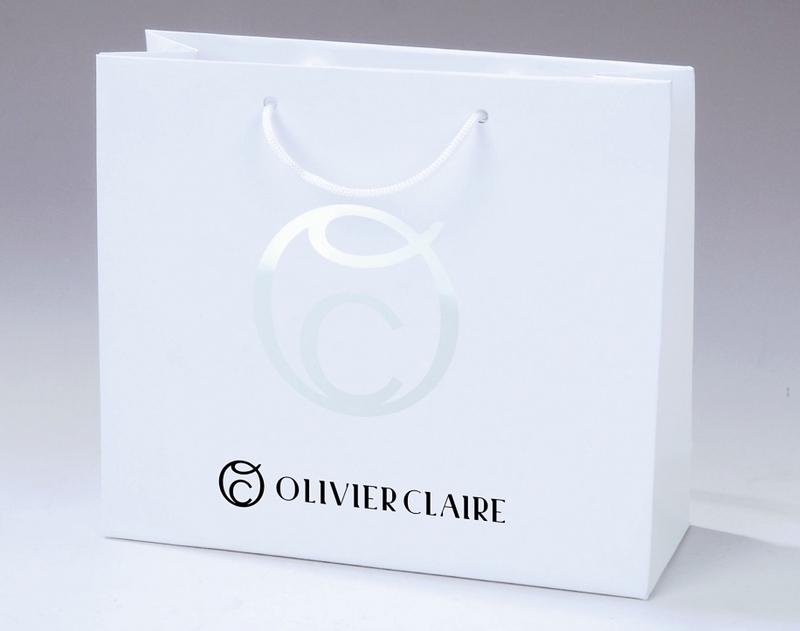 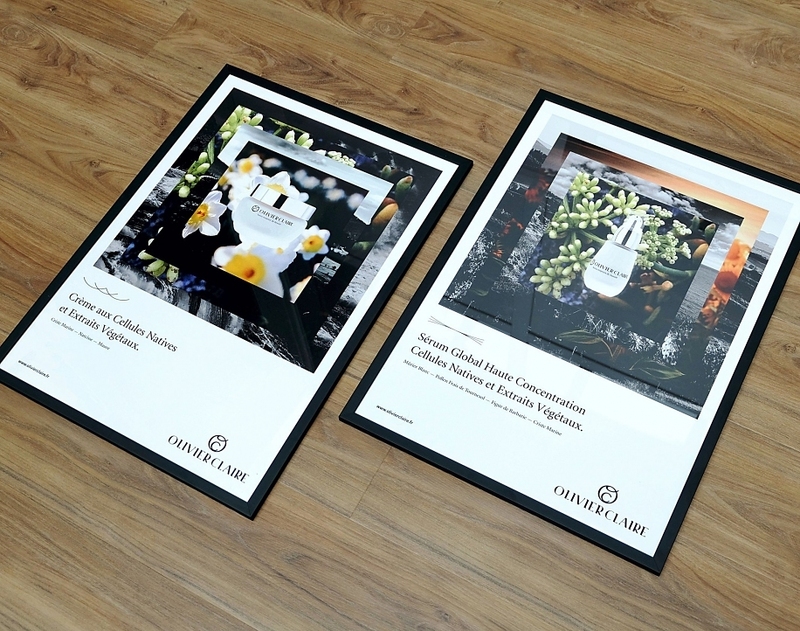 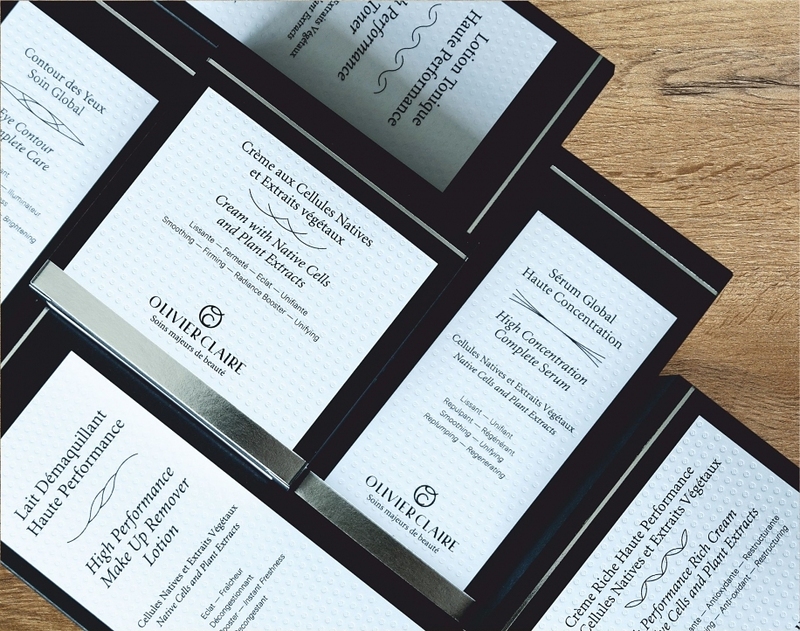 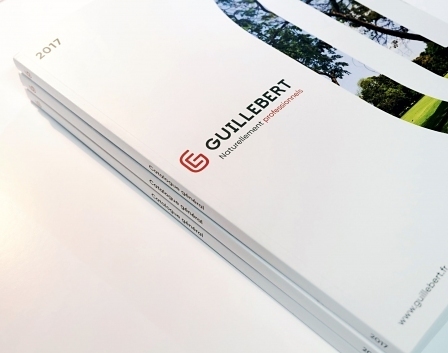 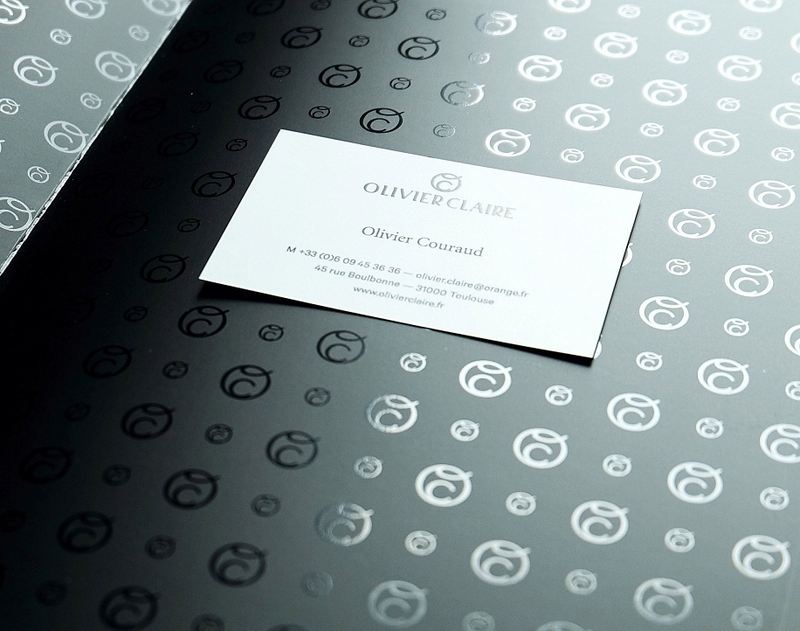 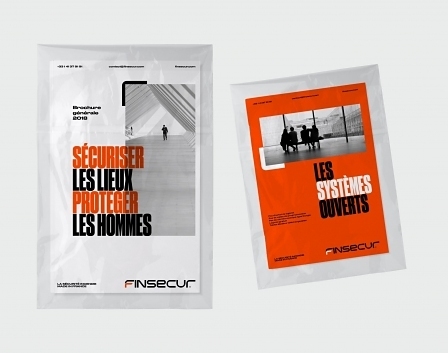 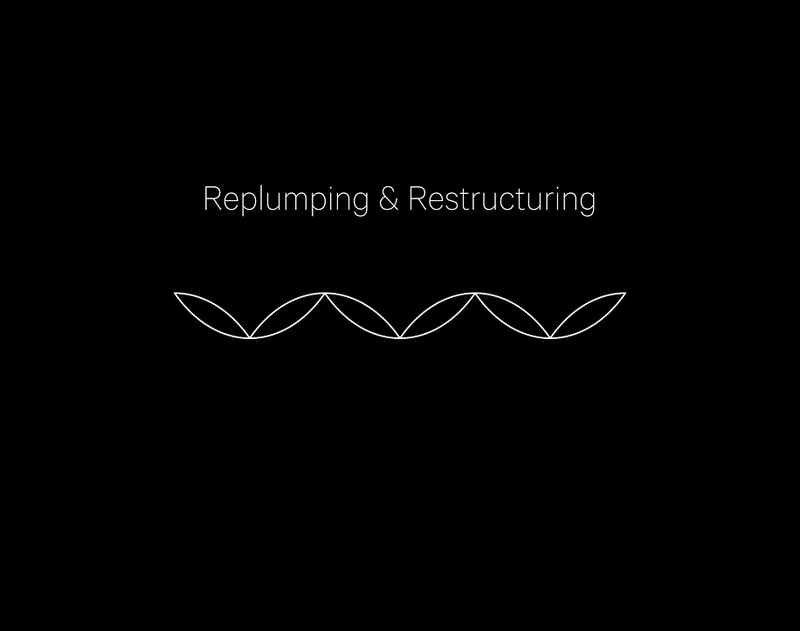 We have worked on every graphic materials for Olivier Claire, on print and digital. 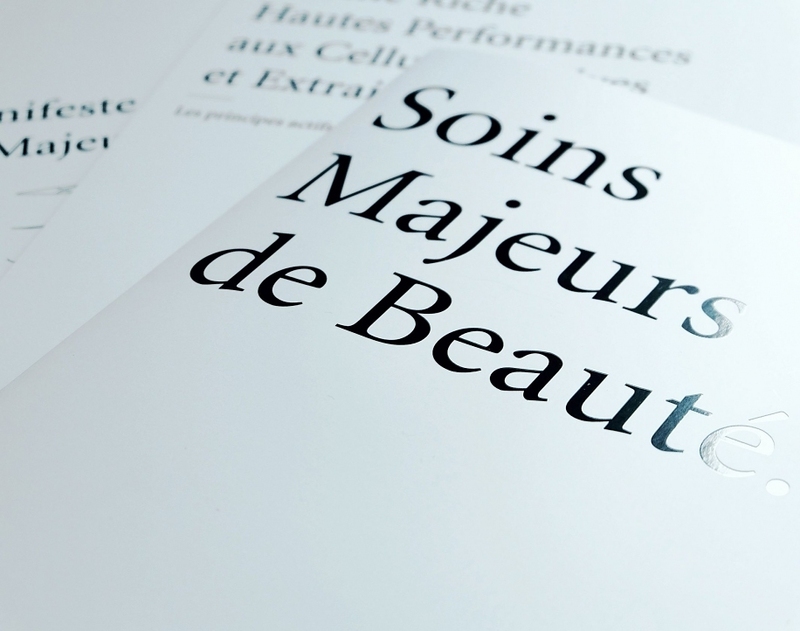 The brand was relaunched in autumn 2015, revealing an exceptional welcome from the French press. 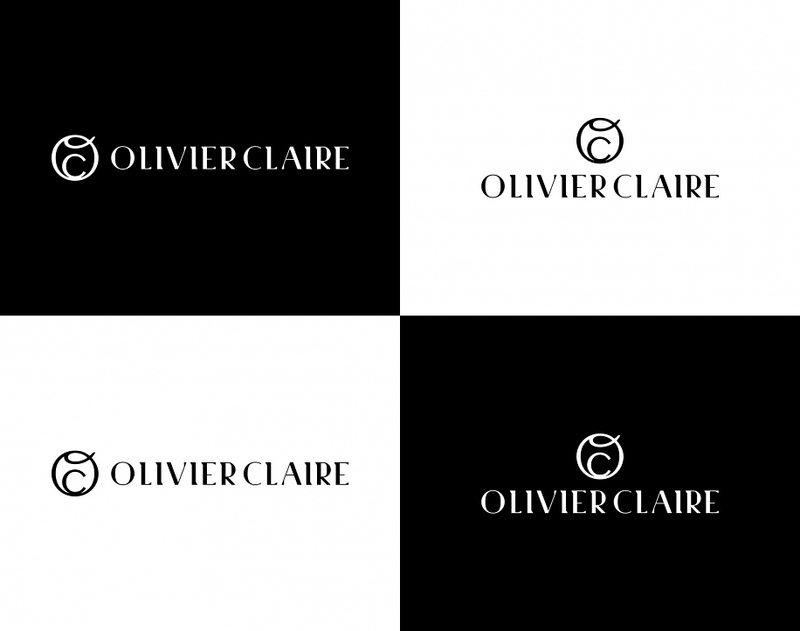 Olivier Claire is born again!